This week, in preparation for Saint Patrick’s day, we are traveling to Ireland in our cooking class. About four years ago, my husband and I had the great opportunity to take Miss I with us and my husband’s family on a trip to Ireland. She had turned only two and doesn’t remember much of the trip anymore, but she was physically there, in the land of her ancestors. Half of my husband’s blood is Irish, so my children are a quarter Irish — I bet it is the mischievous quarter! During that trip we went to Muckross House and Gardens in Killarney, where they also have a very old, traditional farm. This place is in county Kerry, in the south-west of Ireland, close to the gorgeous landscapes of the Ring of Kerry. As we were touring the farm, a docent — dressed in traditional regalia — gave us a sample of a soda bread she had made in an iron pot over the fire in the fireplace, which is the way the used to do it back in the day. It was spread with freshly made butter, and it was delicious. Last year I made Irish cream scones, which is the first thing that comes to mind when I think of Ireland and cooking… but as I didn’t want to repeat, this year I decided to teach Miss I and Miss Z how to make a loaf of crusty, delicious and easy quick bread. While looking for recipe ideas, I came across a big dispute going on here in the US, as many people here believe Irish Soda Bread includes butter, raisins and caraway seeds. As that was nothing like what I had had in the motherland, I chose a recipe I found at the Society for the Preservation of Irish Soda Bread (yes, such a thing exists), which not only provided me with a variety of recipes, but also with the history of how this bread came about. 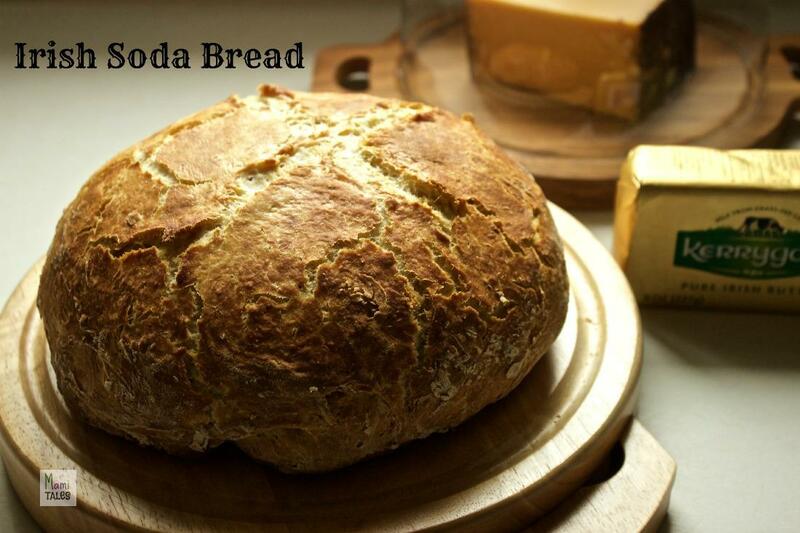 The recipe we used and I’m writing here is for their White Soda Bread. A simple, crusty and delicious quick bread to enjoy with any spread. Butter and flour one of the cake pans. Preheat the oven at 450º F, with the rack in the medium rung. Mix the flour, baking soda and salt, then sift into a large bowl. Using a wooden or rubber spatula, make a well in the center of the flour mix and pour the buttermilk. Mix with the spatula until it is as moist as possible, without touching it with your hands. Once the dough is almost sticking together, gently form into a ball with your hands. If the dough is too dry, add a TBS of buttermilk at the time, until you can have it hold together. Try to handle the dough as little as possible to avoid the bread from becoming tough. Place the ball in the prepared cake pan, then flatten it with the heel of your hand. Take a sharp knife and cut a cross on top of it. Cover the cake pan with the second pan, creating a closed environment. This will make your bread crusty. Place in the oven, and bake for 30 minutes. Take the cake pan cover off, then bake for an extra 15 minutes. Your bread will be done when the top is golden and you can hear a hollow thud when you tapped on the bottom of the loaf. Let it cool slightly, then cover with a kitchen towel, sprinkling water on top, to keep the bread moist. Instead of using a cake pan, you can also use a cast iron pot with a lid, or a cast iron dutch oven. Once we got the bread in the oven, we cuddled up to read a couple of stories that Miss I selected from a pair of Irish Legends books her Granny Janny brought her from one of her trips to Ireland. As it turns out, my brother in law lives in Dublin, and has the coolest job digitizing materials at the Long Library of Trinity College,.house of the Book of Kells. Here’s a picture of it. The stories Miss I picked were related, but separated on two books of the same series: Irish Legends for Children. One is the story of Cú Chulainn (pronounced Cu Cul-in), a brave youth that defeats on his own a huge bloodhound, and The Brown Bull of Cooley (pronounced Coo-lee), that talks about a war against Ulster, initiated by a Queen and her husband who one day were boasting about who had the richest possessions. Most Irish legends are pretty bloody and magical. My personal favorite is about a King who had donkey ears and would kill every barber that cut his hair to keep the secret. What I like the best about the book with the story of the Brown Bull is that at the end it includes a pronunciation guide on how to say all the names in Celtic. Miss I has been hearing these stories for quite some time now. I do believe that sanitizing fairy tales for kids and getting rid of the ugly details in people’s behaviors are not to their advantage. I think myths and legends are a very important part of culture, history, and building a healthy psyche — we all have dark thoughts and urges, and these stories help kids with providing ways on how to vanquish them. For more on the importance of Fairy Tales, I love Bruno Bettelheim’s book, The Uses of Enchantment. 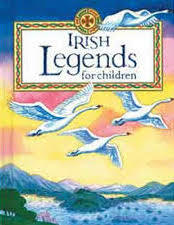 Do you have a favorite Irish Legend Book? What are you going to make for Saint Patrick’s day? Share your favorite books and recipes with us! Tagged Book reviews-recipes, Cooking with Children, Home made bread. Tip…..If you don’t have buttermilk or don’t have it in the house, you can substitute by adding one tablespoon of vinegar to regular milk creating sour milk. I do that all the time Barbara! I didn’t know about the half water, half yogurt. I’ll have to try that too! Renee, someone told me it could be with all yogurt, without diluting. But I’ve done the half water one and it works. I can’t decide what I love more: the recipe, or the picture of the library. Jacqui, you crack me up! And yes, that library is absolutely breathtaking. I can’t believe my brother-in-law works there! was easy, fun and yummy! Thanks for sharing. It’s wonderful. The recipe. the book, the clicks, the way you organized them everything is perfect. I’m sorry to hear that – I hope your baby is better now. My husband mills artisan flour AND is of Irish extraction so I really should try and make the soda bread! Well, that sounds like a win-win for you! Please share how you liked the bread! Thanks for sharing the recipe and the books on Irish legends. They all look delightful! We made scones with walnuts, caramelized onions, and a little orange zest this year to accompany our St. Patrick’s Day feast. Stopping by via the Kid Lit Blog Hop. I love scones! The ones I make are my daughters’s favorite, to the point that she wanted that for her birthday instead if cake! Thanks for stopping by! That library looks amazing! We’re taking our daughter with us on a trip to Ireland next spring. She’ll be four, so hopefully she’ll remember a bit of it. Visiting from the KLBH. 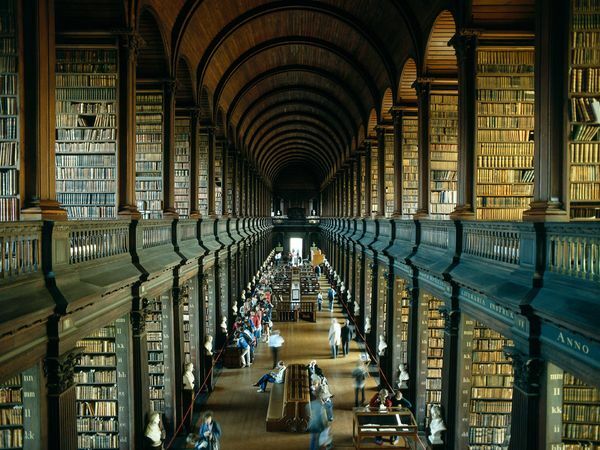 The Long Library is one of the most beautiful in the world. If you go to Dublin, make it a point to stop there and see it. It is stunning, and the old manuscripts they have are amazing. Being 4 I’m sure your daughter wi’ll remember much of the trip. Take tons of pictures! Thanks for stopping by! Hi Erika. We always fix corned beef and potatoes. Not fans of cabbage. Happy late St. Paddy’s Day. Cheryl! You know what? I’m not sure I’ve ever tried corned beef before! With or without cabbage. When I was in Ireland we had a ton of seafood chowder, and I yet have to find a recipe that is close to what I had there. I guess that next year I can try the corned beef to go with my bread, and you can make the bread to go with your corned beef! The Society for the Preservation of Irish Soda Bread? Really? lol That’s awesome! I’ve made irish soda bread once a long, long time ago back when I made EVERYTHING from scratch. Then, something happened… right… KIDS happened! 😉 I like the idea of making the scones. I might try that. I can make and freeze – that’s my strategy these days. Double the recipe. Consume half. Freeze half. Thanks for sharing your book recommendations in the Kid Lit Blog Hop. I know!! Isn’t in funny that there are societies for everything these days? Try the scones 🙂 the recipe I have is super easy and absolutely delicious! Thanks again for hosting the hop. It’s a fabulous resource to find awesome new books and meet new people!